Back in October, I made the case that wars were literally ruining EVE Online for the huge number of players living in high-security space. War corporations were using the system purely to harass small industrial and social groups that couldn’t realistically fight back, and many players targeted by these wars would just quit the game. CCP has since revamped the war declaration system with a new War Eligibility mechanic, and the results have been incredibly positive so far. These few small changes to EVE‘s game mechanics have completely changed the game for many new players, but they’ve also brought the debate surrounding conflict avoidance to the surface again. 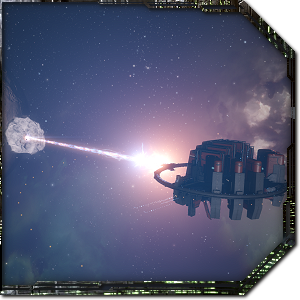 Players in high-security wars can still unfairly disengage from a losing fight by using neutral logistics, for example, and nullsec players will usually run to safety when any neutral ship enters their star system. In this edition of EVE Evolved, I look at the impact of the wardec changes, the problems of conflict avoidance in highsec and nullsec, and a few sensible changes that could solve them. If you missed the news, you’ll be interested to find out that EVE recently changed the wardec mechanics by adding something called War Eligibility. A corporation is marked as War Eligible if it has any structures in space, such as citadels or player-owned customs offices. Corps without War Eligible status may not declare war, can’t become the target of a war, and can’t offer assistance to a war through the allies system. If a corp is at war when it becomes ineligible (say by losing its last structure), the war ends. This was very similar to the system I suggested back in October, and the result has been transformational. I’ve seen a significant increase in the number of small corporations flying around and playing together, more industrial and mining corps popping up in high-security space, and more social corps for new players. Those corps willing to set up Mining and Manufacturing stations are also seeing more traffic and use of their services from corps that want the benefits of structures without the risk of running them. Even the war corps are finding the new system better now that they aren’t wasting money on thousands of useless wardecs against corps with no money and that won’t fight back. Every war target is guaranteed to have at least enough money to set up a station (around half a billion ISK) so the wardec corps are still aiming for smaller corps but now they’re only hitting wealthier targets. The key thing here is that those wealthier targets have chosen to build structures and become war eligible, so there’s an element of informed consent. Anyone trucking through Jita with a cargo full of goodies without checking if they are at war now has at least accepted that risk. One issue that has been raised as a result of the wardec changes is the use of holding corporations for structures. Some stations have been moved to one-man corporations so that the main corp can remain ineligible for war. In the event that the station is attacked by a massive war corp, the defender can just choose to abandon the station. I don’t see this as a problem, as the target of a war should be the structure and members who are willing to fight, not people who choose to be non-combatants. 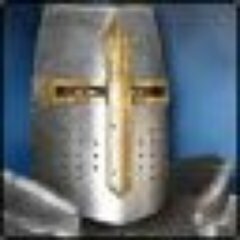 Another issue that’s been raised by some players since the war changes went live is that corps can now decide to remain immune to wardecs while engaging in behaviour that previously would have provoked a war, such as strip-mining another corp’s moon belt or insulting its members. I tend to dismiss arguments that this is a new problem or class of player; These players were always here, except they used to stay in NPC corps in order to remain immune to wardecs rather than banding together under a corporation banner. While neither of these is a serious problem, I would love to see more incentive for players to stay in the same corp as their structures rather than avoiding the fights it could bring down on them. This could be achieved through corp-wide bonuses provided by structures, corp-only area-effect bonuses such as mining boosts from Athanors, or corp-only services such as mission agents. Corps could also be disallowed from accepting new members for the first 7 days of a war, preventing people from jumping into the holding corp only as needed to save a structure. They would still be able to use the allies system to join the war, but then at least their main corp would have to build a structure and become war eligible. A positive impact of the change is that more wars seem to be being fought between small corps, though this has highlighted the scale of another high-sec conflict avoidance issue. People not involved in the war can give the attacker or defender boosts through Command Bursts without even getting a suspect or criminal flag. They can also provide remote armour and shield support, though this will give them a suspect flag during the fight and make them vulnerable to attack. 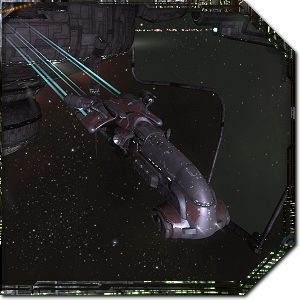 Neutral logistics ships have been a problem in EVE for years, and I’d love to see them disappear. Any fight over a structure in EVE will largely come down to the number of pilots on the field and execution of a strategy, but neutral interference allows one side to obscure its numbers and to request a bailout when they’re being beaten. I think that Command Bursts should not apply to anyone currently in a war if the person giving the burst is not also part of that war. I also believe that neutral logistics ships should also be physically incapable of supporting a ship under the same restrictions, or that it should be a criminal level offence rather than suspect. Wardec corps are also still encouraged to avoid a fair fight due to the way the war fee is calculated, with larger corporations and alliances actually costing more to declare war on. The ideal wardec system would try to match similarly sized military forces together, so the cost should take the difference in corp sizes into account. I would suggest basing it on the difference between the attacker and defender’s monthly active corp members, so attacking a much larger or much smaller corp than your own would cost more. This does risk giving away intel about a corp’s monthly active users, though, and you know EVE players would use that data for nefarious ends. 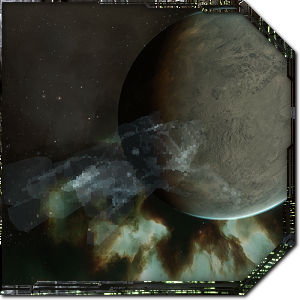 While the biggest battles in EVE take place over territorial objectives in the lawless nullsec regions, the players living there day-to-day are highly conflict-avoidant. Players will farm PvE anomalies or mine endlessly for hours at a time and immediately warp to safety the moment an unknown neutral comes into their star system. This is a big problem not only because it’s boring as hell for roaming PvP gangs but also because it’s indistinguishable from the behaviour of automated bots. 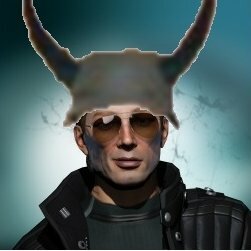 It’s also led to a problem that has plagued nullsec alliances since as far back as I can remember: AFK cloakers. A cloaked ship can park itself in a star system and show up in the local channel, usually prompting all the locals to pack up their PvE activities. The locals can’t ignore the cloaked ship as it could attack at any time, so one or two ships can effectively disrupt PvE in a star system even when the pilot is AFK. The cloaking problem could be solved by adding a fuel requirement to cloaking devices, and both of the issues above could benefit from another precision change: Nerf the local channel in nullsec. We got a small taste of what nullsec would be like with no local channel at all recently when EVE suffered an unexpected loss of chat services across the game, and one of the results was bots being killed all over the place. Real players still had the directional scanner and scouts to stay safe, the same way players stay safe in wormhole space with its delayed local channel. Rather than simply removing the local channel in nullsec, I would suggest adding the ability for players to hack stargates in order to switch into a disrupted state for the next 20 minutes or so. Ships entering a disrupted gate wouldn’t show up in local on the other side for about 5 minutes, plenty of time to launch a surprise attack or slip through the system unnoticed. 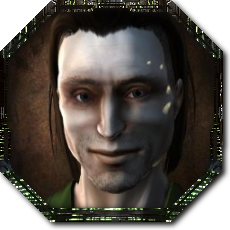 Cloaky camping is one of the prices you pay for living in null sec. It is part of the risk/reward dynamic. Running anoms is already a very lucrative activity, so I am suspicious of any suggestion that might make that less risky. Null sec groups already work to mitigate the risk with intel channels, standing fleets, and response groups that salivate at the chance to drop on any cloaky camper that decides to finally decloak and attack. Great article and I agree with a lot of it. But as a wormholer, I could not disagree with you more on your cloak-fuel requirement recommendation. The ability to cloak in a wormhole (and remain that way) is vital to survival. I personally do not even see an issue with 1 or 2 players disrupting pve in a system. Null secrs are so risk adverse its rediculous, If a single cloaked player can stop an entire system from their pve activities then maybe they should look into getting some support from their corp or other friends. Making money in this game anywhere except highsec (and not really even there) should have some inherent risk involved. You plan a contingency for that risk, and scout entrances. Could make it a system upgrade so only in certain systems chosen by sov holders where cloaking requires fuel. It should happen as CCP hopefully will finally remove local as a braindead source of intel, and make local scouting more meaningful. Players will farm PvE anomalies or mine endlessly for hours at a time and immediately warp to safety the moment an unknown neutral comes into their star system. This is a big problem not only because it’s boring as hell for roaming PvP gangs but also because it’s indistinguishable from the behaviour of automated bots. Yeah, before complaining about how it’s boring for PVPers to have PVEers running away, how about solving the problem for PVEers who are forced into a PVP space to get decent rewards? Then there’s no tease – that should make both types happy, right? Forced into pvp space? Im pretty sure you get a little warning that pops before you get into ‘pvp space’ I would be extremely interested to find out a way to force people there. The more potential for money, the more potential risk. That is not actually a problem. Its by design. I think op is one of those quaint players that doesn’t realise all of eve is PvP space, there’s just different rules of engagement and consequence. At its core, eve is a PvP game. All industry relies on PvP to make it relevant. The whole game is geared towards blowing stuff up, willingly or otherwise. If nothing got blown up, if there was no combat, no wars, then no one would buy those minerals. No one would buy those new hulls. No one would buy that’s wormhole or exploration loot. No one would care about buying anything new because you’d never lose the first one you get. I get that some folks want safe space to do their non-pvp tasks, but that’s not this game. It was never this game. It has never claimed to be this game. My point was actually in response to PVPers complaining about PVE’ers running away from PVP combat. PVE’ers gonna PVE. And if that means running away from PVP, and you don’t want that, then go create some designated PVE zone so PVPers don’t have their time wasted trying to chase PVE’ers who are just going to run away. If that’s not gonna happen, then you can’t really complain when people play the game the way it’s designed. I’m pretty sure you are looking for highsec incursions? Eve’s pve needs to change to make it less bottable, and it’s especially important for nullsec due to the amount of wealth being generated there. Last time I played at least if a neutral logistic healed in active fight it was considered to participate with weapon timers and everything. Something changed? If a neutral logistics ship repairs a ship that’s engaged in a battle as part of a wardec (and so is in a limited engagement with another ship), it will get a Suspect flag and will become vulnerable to attack to everyone. This was a huge improvement when it came in, but it seriously isn’t enough any more. Neutral logistics still give a way for a corp to hide its true power, tricking a defender into committing ships to a fight that it can’t win. It’s a safety net that can sit there invulnerable until it’s needed and can bail ships out of a fight if the defender actually manages to start winning. Some corps go so far as to have five or ten neutral logistics ready and waiting outside the war for every attacking ship that’s legally in the war. You can’t fight that. In reality, this will never happen because the attacker in a war always has a disproportionate organisational advantage. They can put 10 players in the wardec corp to goad a small enemy into committing ships to the fight and 50 players in logistics ships into a second corp that’s immune to wars to close the trap or extract the war ships if things go wrong. The attacker also picks which corps it declares war on, so realistically no defender will have access to a second corp full of cloaky T3s. The only way that this counter could happen is if a third party mercenary corp were formed to take on the role. That’s something I’d love to see but I suspect it would stop working pretty quickly as the attackers would just watch for local spikes and be more selective with targets. The issue here is really one of fairness and the representation of fairness. 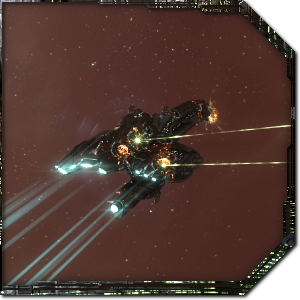 Wars in EVE always come down to numbers of players, and allowing either side to hide its effective numbers will always favour the prepared attackers. This is also the reason that recruitment during a war is a touchy subject; support in a war should come via the Allies system or not at all.